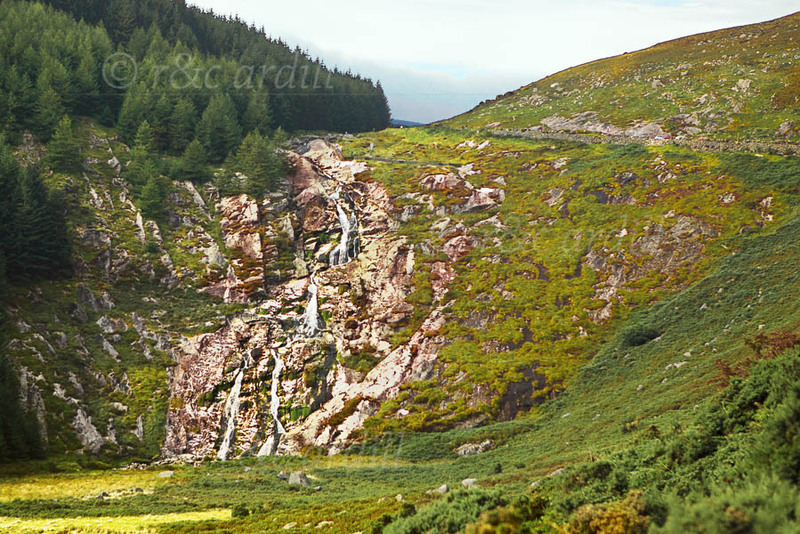 Photo of: East Coast of Ireland: Wicklow: Glenmacnass Waterfall. The Glenmacnass Waterfall on the Old Milatary Road in County Wicklow is a stunning site on any day. The Glenmacnass river trickles down from its source on Mullaghleevaun mountain and spills over the rocky cliff. From the top of the waterfall there's a wonderful view of the glen, with Laragh and Glendalough in the distance.